Israeli authorities have long sought to undermine Palestinian academic freedom and to degrade Palestinian intellectual life. Despite the brutal conditions of the occupation, Palestinian students and scholars have persisted in their struggles for the right to education, asserted their academic freedom, and in many cases achieved noteworthy success in their fields of expertise. for the second time in 15 months, noted Palestinian professor and astrophysicist Imad Al-Barghouthi was arrested by Israeli authorities. Barghouthi, a professor of space physics at al-Quds University, was arrested at an Israeli military checkpoint in the West Bank on his way home. According to the New Arab news source, Barghouthi, “a leading researcher, publishing frequently in academic astrophysics journals,” has previously worked for NASA. Coetzee has always been careful to avoid using literature to make direct political statements, but in this video recording during the Palestine Festival in Ramallah on May 28, 2016, he explicitly condemns the racist and colonial nature of Israel’s occupation. To speak of Jerusalem and the West Bank, we see a system of enforced segregation based on religion and ethnicity put in place by an exclusive self-defined group to consolidate a colonial conquest, in particular to maintain, and indeed extend, its hold on the land and its natural resources. Given Coetzee’s status as an international literary figure, whose works are free from partisanship–he is hardly a Palestine solidarity activist or advocate for BDS–it will be interesting to see how apologists for Israel respond to his statement. Will Coetzee now be accused of anti-semtism? Will the always vigilant defenders of Israel add his name to their lists, such as Canary Mission? Will he suffer the embargoes imposed on other artists, writers, musicians, filmmakers and intellectuals who stand with the Palestinians? Coetzee’s pronouncements about Israel’s “colonial conquest” are an indication that criticism of Israel, once associated only with those who dared to speak out about the injustices faced by Palestinians, has entered the wider public realm. David Palumbo-Liu is the Louise Hewlett Nixon Professor and Professor of Comparative Literature at Stanford University. His most recent book is The Deliverance of Others: Reading Literature in a Global Age. He is the founder and director of the TeachingHumanRights.org project and writes for The Nation, Salon, The Huffington Post, Truthout, and other venues. 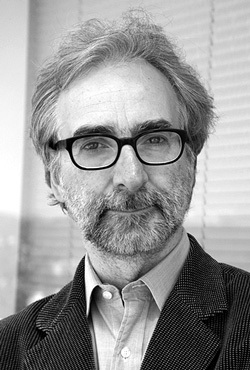 He is a Contributing Editor for the Los Angeles Review of Books, a member of the Executive Council of the Modern Language Association, and Second Vice President of the American Comparative Literature Association. It is understandable that some members of the MLA are concerned about the possible silencing effect of the academic boycott—certainly the free flow of ideas and a vibrant and unconstrained community of scholars are fundamental to our enterprise. The MLA has done a remarkable job in broadening its scope beyond “America” and reaching out to the world at large. Anything that seems to reduce its scope and worldliness is something we should all be cautious of. But being engaged in the world at large and benefiting from that contact also brings with it certain obligations. Upholding the value of scholarly work in the world community means holding that value dear as it applies to all scholars, not just those with whom we are familiar, or whose work is useful to us. Or indeed those whom we believe look and think like we do. To narrow the world in that way goes against everything we hold dear as humanists. To be consistent with humanistic moral principles means we do not close off portions of the world expeditiously and neglectfully, it means that we do not champion rights for some while ignoring or downplaying the lack of rights others suffer from. In these respects the academic boycott is perfectly consistent with the values of the MLA. Rather than close down conversation, the academic boycott of Israeli institutions acts to enfranchise a disenfranchised population and to fulfill our commitment to academic freedom as something indivisible. It is an act of solidarity in the name of justice, and of peace. Ian Balfour is Professor of English at York University. He has taught at Cornell as the M. H. Abrams Distinguished Visiting Professor of English, at Williams as the Scott Professor, and at Rice as the Autrey Professor; he also has held visiting professorships the Johann Wolfgang Goethe University in Frankfurt, UCSB, and Stanford, among others. He is the author of several books, including The Rhetoric of Romantic Prophecy, awarded the MLA’s Scaglione Prize for Comparative Literature and the Barricelli Prize from the International Conference on Romanticism. He is a co-translator of Walter Benjamin’s dissertation, The Concept of Criticism, and co-edited with Cynthia Chase of an issue of diacritics on Benjamin, and has published on Benjamin’s theory of history. He edited with the filmmaker Atom Egoyan Subtitles: On the Foreignness of Film, with Eduardo Cadava a double-issue of South Atlantic Quarterly on human rights, and was sole editor of Late Derrida for SAQ. Things should never have reached the point where something like the BDS movement were necessary or a good idea. Some people whom I respect enormously for their commitment to justice for the Palestinian people, such as Noam Chomsky, do not support all or most of the strategies and tactics of the BDS movement. It is a plausible political stance. And it is difficult to boycott, partially, some academic and cultural activities in present-day Israel when large numbers of students, artists, and professors are hardly the worst offenders in the occupation of the territories condemned by the United Nations as illegal. Indeed some are themselves are opposed to the occupation and hampered in that opposition. But the universities and all kinds of cultural institutions cannot be divorced neatly from the massive effort to oppress and marginalize and keep at bay the Palestinian people, many of whom were forcibly exiled from where they and their families had lived for so long. Moreover, universities and schools in Israel thrive and function well when the possibilities for a decent education in the occupied territories are undermined at every level from material infrastructure to day-to-day teaching. universities and all kinds of cultural institutions cannot be divorced neatly from the massive effort to oppress and marginalize and keep at bay the Palestinian people, many of whom were forcibly exiled from where they and their families had lived for so long. Tactics like those of the BDS movement helped in the struggle to break the deadlock in the seemingly intractable position of the old apartheid regime in South Africa. And there is reason to believe forces in Israel could one day be brought around to reason and elementary justice for Palestinians who once shared the land once called Palestine. There could be a better Palestine and a better Israel. Colin Dayan is Professor of English, Robert Penn Warren Professor in the Humanities, and Professor of Law at Vanderbilt University. She works in prison law; the legal and religious history of the Americas; nineteenth-century American, French and English literary history; Caribbean Literature and African American Studies. The recipient of numerous awards including Danforth, NEH and Guggenheim fellowships she was elected to the American Academy of Arts and Sciences in 2012. Her many publications include the following books: With Dogs at the Edge of Life (Columbia University Press in 2015); The Law is a White Dog: How Legal Rituals Make and Unmake Persons (Princeton UP, 2011), a Choice Outstanding Academic book; The Story of Cruel and Unusual (MIT/Boston Review Press, 2007); Haiti, History, and the Gods (University of California Press, 1995, 1998), a Centennial Book; Fables of Mind: An Inquiry into Poe’s Fiction (Oxford University Press New York, 1987); A Rainbow for the Christian West (University of Massachusetts Press, 1977). Over the past ten years, she has written widely on prison rights, the legalities of torture, canine profiling, animal law, and the racial contours of US practices of punishment for The Boston Review, The New York Times, The London Review of Books, and Al Jazeera America, where she is a contributing editor. I attended college during the last gasp of the New Criticism. Every piece of literature stood on its own, unblemished by anything so vulgar as politics. When the multi-cultural and post-colonial turn came to literary study, its inclusion of so-called “non-Western” writers came with a cost. A newfangled language of theory wrenched texts out of their contexts. With the academic tools of the trade came a language that was often inaccessible, that leeched writers of their histories and specific locales. We silenced the very people we claimed to be speaking about. In those days—nearly thirty years ago now—the academy was a place of coercive if tactful training. MLA Members for Justice in Palestine has a new a Facebook page. Support the movement by “liking” MLA Members for Justice in Palestine. Get informed about developments in Palestine, especially concerning Israeli violations of rights to education and the collusion of Israeli academic institutions in the occupation. Sign the open letter and join the growing number of students and faculty who endorse the boycott of Israeli academic institutions. Click here to sign.